The Easylift R160 is a spider lift with narrow tracking. It offers a total working height of 15.8 metres for any outdoor or indoor high access requirement. 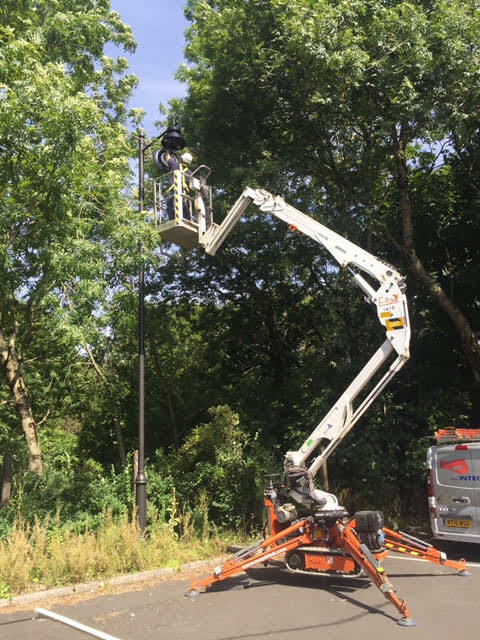 Our narrow access cherry picker has a lightweight and compact chassis. It has a stowed width of under 1 metre. The bi-fueled petrol engine and non-marking tyres make it the ideal choice for any maintenance work.